Journal of Drug Abuse is aim to publish foster activities in the field of drug abuse and the burden associated with mental, neurological and substance use disorders, and to promote mental health worldwide. Journal of drug abuse is interested to accept reliable manuscripts base on mental health, neurological and substance abuse problems and service systems; evidence-based technical guidance on mental health and substance abuse; strengthening policies and systems for mental, neurological and substance abuse care; strengthening capacity on mental health and substance abuse policies and systems to deliver services that are effective, adequate and respect the human rights of affected individuals, and respond to emerging mental health problems such as emergencies and HIV/AIDS. Drug abuse Journal has one of the fastest turnaround times of any medical journal in the world. Generally peer review is complete within 2-3 weeks and the editor’s decision within 2-7 days of this. It is therefore very rare to have to wait more than 4 weeks for a final decision. 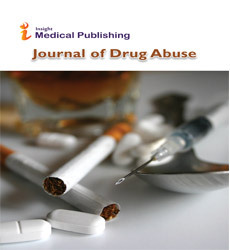 Journal of Drug Abuse are welcoming submissions of original research, perspectives, case studies, and review articles. Please see our Guide for Authors for more information on article types and submission requirements. Journal of Drug Abuse is committed to upholding the highest standards of publication ethics and takes all possible measures against any publication malpractices. Journal of Sports Medicine & Doping Studies, Acta Psychopathologica, Addiction, Addiction Biology, Addiction Science & Clinical Practice, Addictive Behaviors, The American Journal on Addictions, African Journal of Drug and Alcohol Studies, Journal of Addiction Medicine, Addiction Journals, British Journal of Addiction. Journal of Addiction Research & Therapy, Drugs: Education, Prevention & Policy, Journal of Substance Abuse Treatment, Nicotine & Tobacco Research, Alcoholism: Clinical and Experimental Research, Alcoholism Treatment Quarterly, Journal of Behavioral Addictions, Journal of Substance Abuse Treatment, Journal of Drug and Alcohol Research. Drug habit recuperation i.e to decide that you need to make a change.The best way to do so is to keep a check on yourself as in how addiction is creating problems in your life.The most important step in this recovery is to question yourself that why exactly you have decided to make a change or improve yourself,all you can do is to pamper yourself up that you are putting an end to an addiction to alcohols or drugs.One must have the ability to cope with stress,must spend your free time and feel about yourself,act optimistically.The moment you have decided to make a change start exploring your rehab treatment and recovery options.The only way to recover fast is to be committed to your treatment programs. Journal of Alcoholism & Drug Dependence, Journal of Groups in Addiction and Recovery, Journal of Psychoactive Drugs, Journal of Social Work Practice in the Addictions, Psychology of Addictive Behaviors, Drug and Alcohol Review, International Journal of Drug Policy, Journal of Psychoactive Drugs, Nicotine & Tobacco Research. International Journal of Physical Medicine & Rehabilitation, Applied and Rehabilitation Psychology: Open Access, Journal of Substance Abuse and Rehabilitation, American Journal of Psychiatric Rehabilitation, Canadian Journal of Rehabilitation, Journal of Rehabilitation Research and Development, Neuropsychological Rehabilitation, Drugs: Education, Prevention & Policy, Journal of Drug and Alcohol Research. Journal of Alcoholism & Drug Dependence, International Journal of School and Cognitive Psychology, Journal of Pain & Relief, Journal of Psychiatry: Open Access, African Journal of Psychiatry: Open Access, Drug and Alcohol Review, Drug and Alcohol Dependence, Japanese Journal of Alcohol Studies and Drug Dependence, Drugs and Alcohol Today, Alcohol and Alcoholism (Oxford, Oxfordshire), Journal of Substance Use, Journal of Substance Abuse Treatment . The advances in abuse treatment includes “methadone” treatment which blocks the effect a person get from an opioid drug also called methadone maintenance treatment.” Buprenorphine” is another medication that is used to treat opioid dependence.”Naltrex one” reduces the craving for alcohol. International Journal of Physical Medicine and Rehabitilation, International Journal of Collaborative Research on Internal Medicine & Public Health, International Journal of Applied Biology and Pharmaceutical Technology, Research Communications in Alcohol and Substances of Abuse, Nicotine and Tobacco Research, Tobacco Science and Technology, Tobacco Control, Alcohol and Alcoholism, Journal of Studies on Alcohol and Drugs, Alcoholism – Clinical and Experimental Research, Drugs: Education, Prevention & Policy. Journal of Psychiatry, International Journal of Drug Development and Research, American Journal of Drug and Alcohol Abuse, Journal of Psychoactive Drugs, Alcohol and Alcoholism, Journal of Substance Abuse, Alcohol, The American Journal on Addictions, Journal of Addiction Medicine. Pharmaceutica Analytica Acta, Journal of Pharmaceutical Care & Health Systems, Canadian Journal of Addiction Medicine, Health and Addictions (Salud y Drogas), Exartisis, Alcoholizm i Narkomania, Sucht, Journal of Substance Abuse Treatment, Journal of Drug and Alcohol Research, Journal of Addiction Medicine. International Journal of Emergency Mental Health and Human Resilience, Journal of Pharmaceutical Care & Health Systems, Journal of Clinical & Experimental Cardiology, Heroin Addiction and Related Clinical Problems, Journal of Addictions and Offender Counseling, Journal of Maintenance in the Addictions, Alcologia, Chalcogenide Letters, Journal of Psychoactive Drugs, Journal of Drug and Alcohol Research, British Journal of Addiction. Drug addiction recovery programs are available on both an inpatient and outpatient basis. Both types of programs may lead to positive treatment of an addiction, an inpatient program has fewer advantages over an outpatient one. The primary advantage of inpatient rehab is that the drug user enjoys 24hrs of supervised care. Inpatient program not only help users through some of the more difficult moments as the patient's body proceeds through detoxification process but the supervision aspect of the program can also help prevent user from seeking out and ingesting more of the addictive substance. As the changes to any medication being used to help the patient through detoxification can be made in a much faster way than the patient being seen on an outpatient basis. International Journal of Neurorehabilitation, Journal of Physiotherapy & Physical Rehabilitation, Rehabilitation & Physical Medicine, Rehabilitation Psychology, Journal of Rehabilitation Medicine, Supplement, Rehabilitation Nursing, International Journal of Therapy and Rehabilitation, Journal of Social Work in Disability and Rehabilitation, Research Advances in Alcohol & Drug Problems, Journal of Substance Abuse and Rehabilitation, Addictive Behaviors.